HARDY. HALE. HALTING. HANDSOME. HAPPENING. HAPPY. HARMONIOUS. HEAVENLY. HEAD-TURNING. 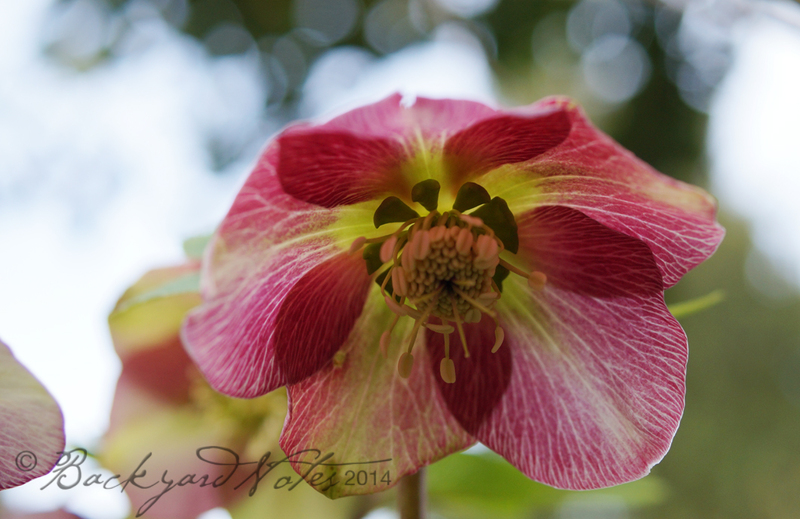 HELLEBORES. 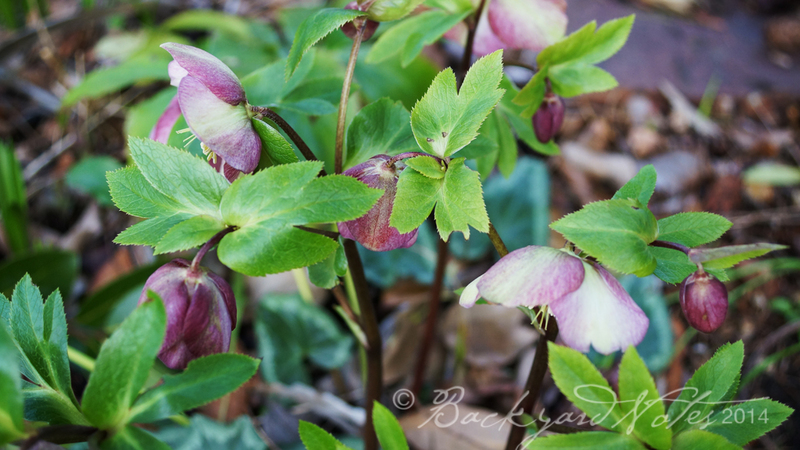 They brighten the mid-winter landscape with their lovely, sometimes nodding, sometimes up-facing flowers. 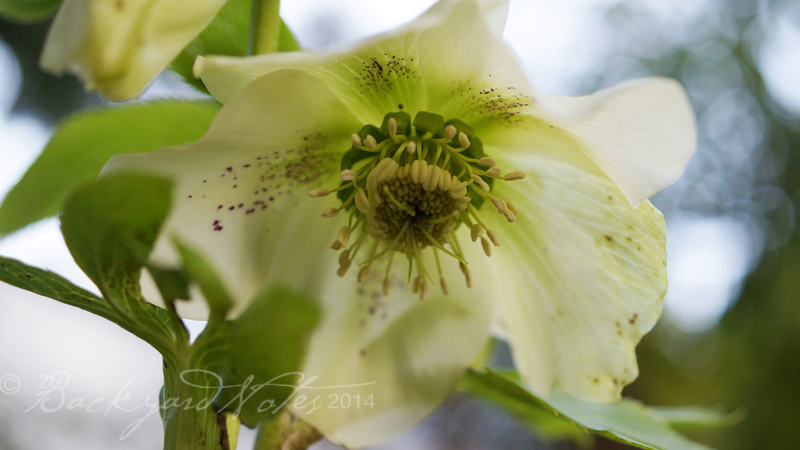 Most of the ones (orientalis) in my garden are old varieties that have freely crossed with one and another. 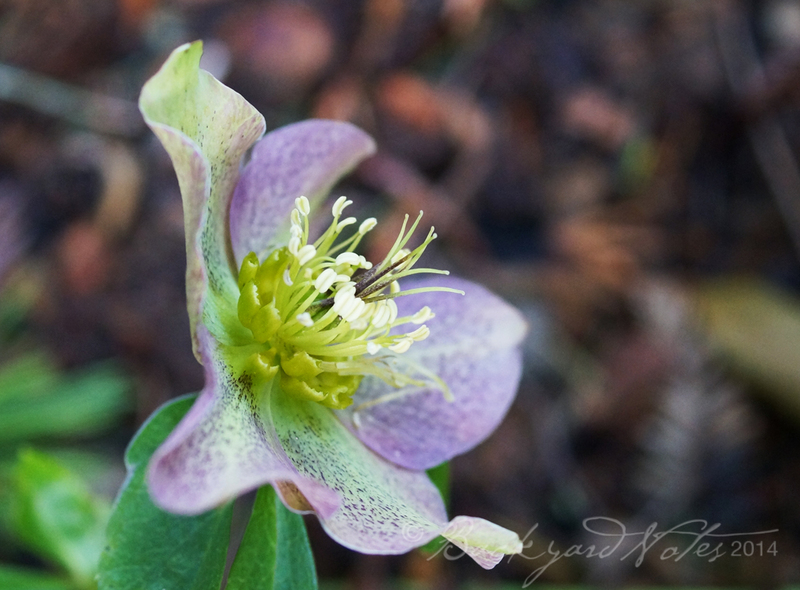 I love the striped and speckled petals that look as though they were air brushed with color. Since it takes a few years for seedlings to grow to the point of flowering, I can’t know until then what cross-pollinating has created and the color variation that may have resulted. 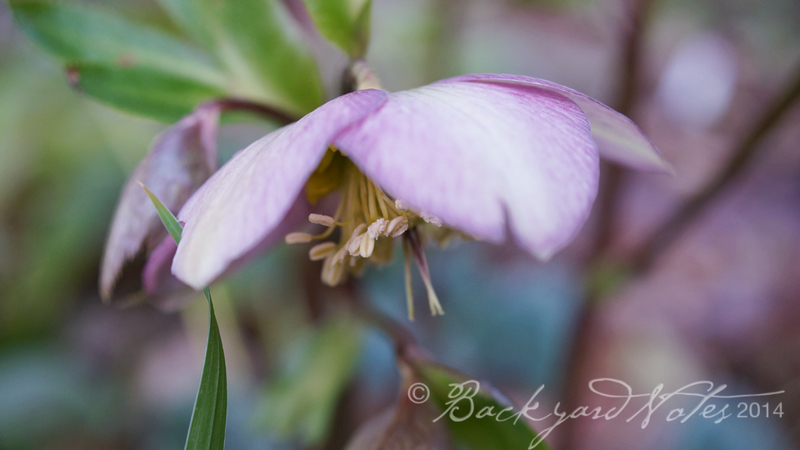 Most of the helleborus orientalis in my garden originated from a couple of plants brought home from Grandma T’s garden. 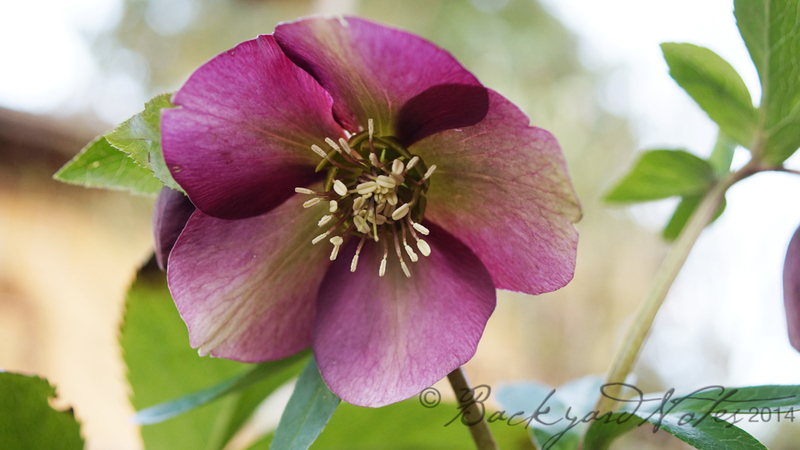 The availability of color ranges of hellebores has increased dramatically in the past ten years and newer cultivars range from white and palest pink to darkest maroon-red, yellow and green. 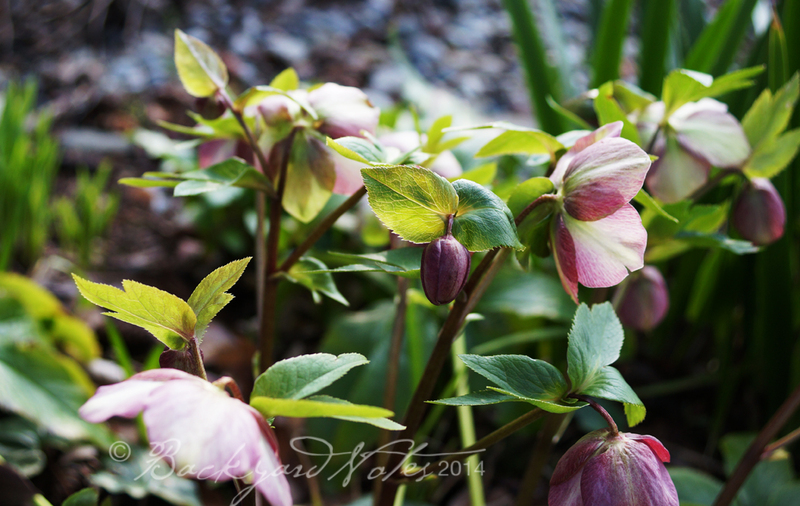 Helleborus orientalis are also known as Lenten Rose since they usually begin their bloom time sometime near Lent. 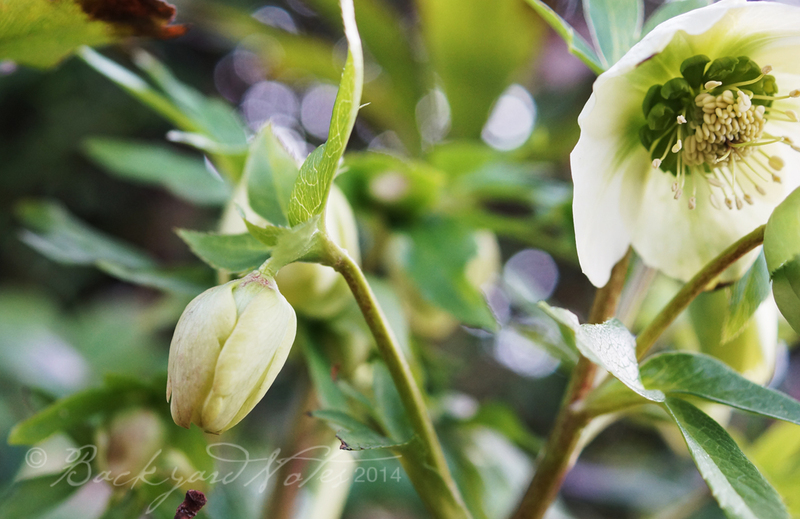 Helleborus niger, which is generally white begins its bloom cycle in December. The flower shape is different as are the leaves, which are smooth, and un-toothed. 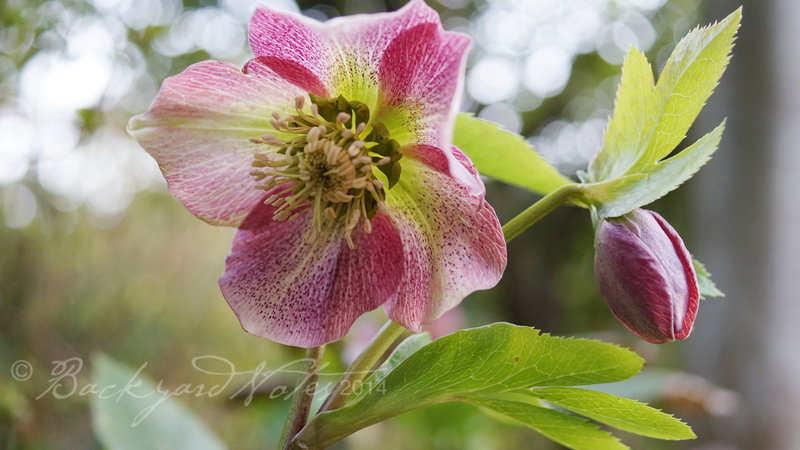 Then there is helleborus argutifolius, helleborus foetidus, helleborus lividus, and about fifteen other species within the genus. 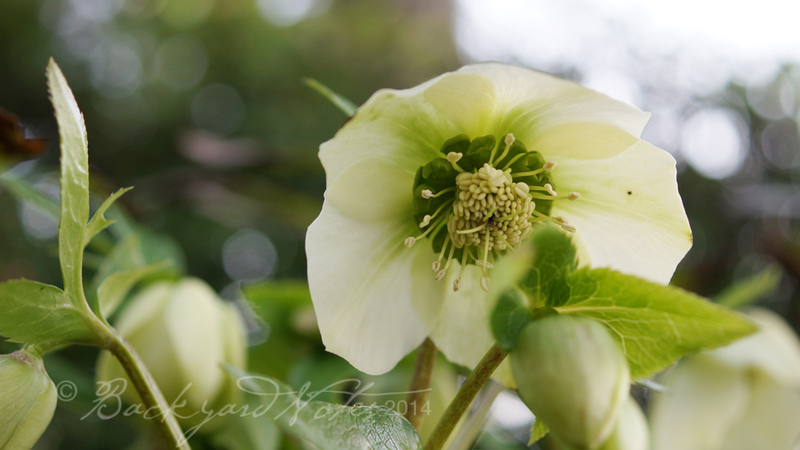 Hellebores are incredibly hardy plants. The flowers are long lived and are attractive even as the seed capsules form. 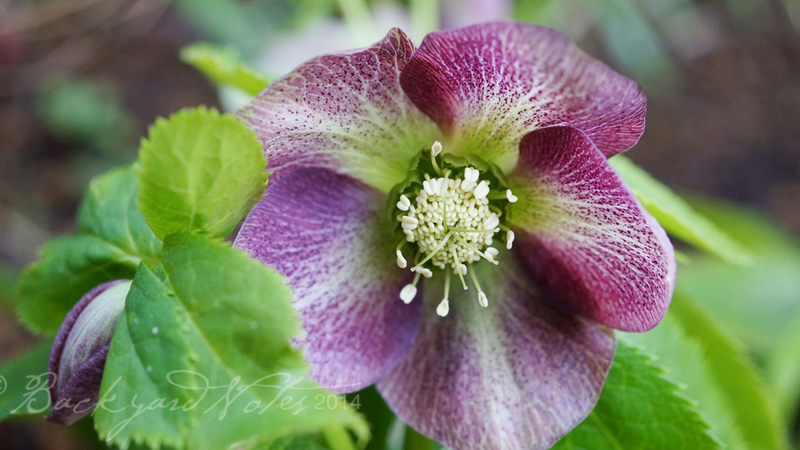 They are good cutting flowers; their leaves, deeply lobed with toothed edges, hold up nicely through the summer, finally looking bedraggled about the time the blooms, on sturdy stems, rise and unfurl from the soil. 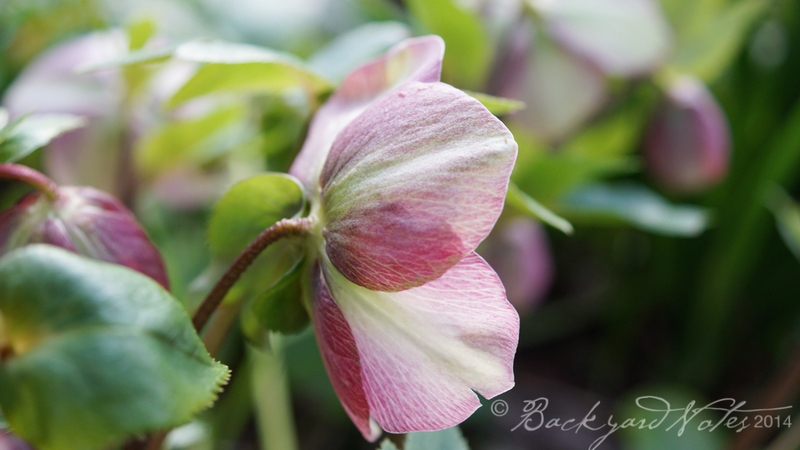 Below are some of the hellebores now in bloom around here. I hope you enjoy them too. Hooray Indeed! 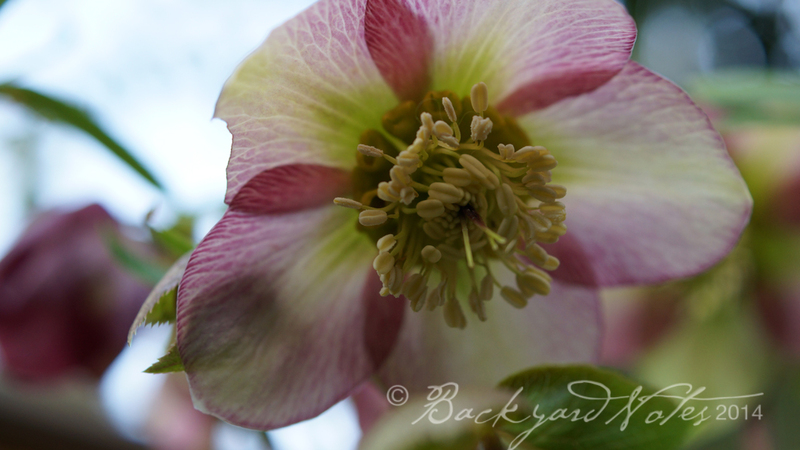 Hellebores are so incredibly photogenic, but your pix are out of this world! How wonderful to have these old varieties cross pollinate each other randomly as they see fit. It’s always a thrill to see what results. Many times the most satisfying results come from letting nature do the work for us! When your lewisia crosses bloom you will have to share with photos. 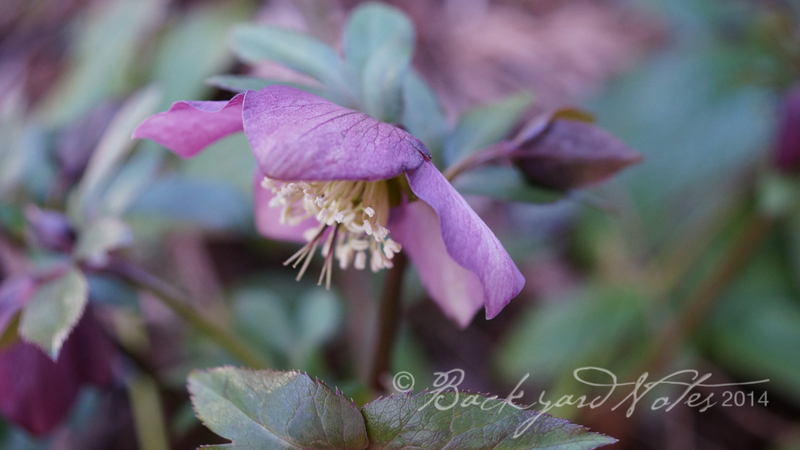 Thanks for taking time to read my thoughts on hellebores and the kind words about the photos. Seems you are just a ferry ride away from my garden. I couldn’t agree more, naturally occurring species are so stunning in their beauty, the more so for the serendipity of stumbling on a bloom while hiking in the mountains. You only need to think of those garish primrose colored hybrids for sale now in supermarkets and chain stores and compare them with so many of the primula species’ own natural variety and sublime beauty, e.g. the woodland, Asiatic and alpines!